Available now to comply with the USGBC draft of new scoring for the LEED daylight credit called LEED v4.1. 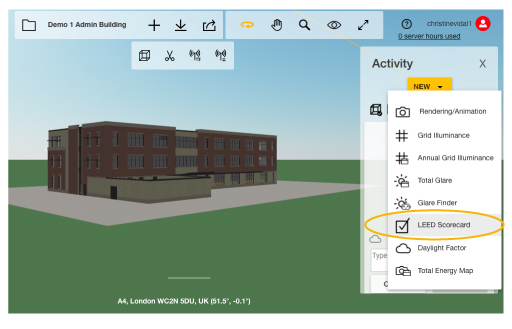 Please note per Dan’s recommendations to the USGBC that this new version does not account for glary spaces and has other limitations which we hope the USGBC will rectify. In the meantime, LightStanza also offers several other features to measure glare like Glare Finder that go beyond LEED which will help you perfect your daylight design. Choose your scoring option. 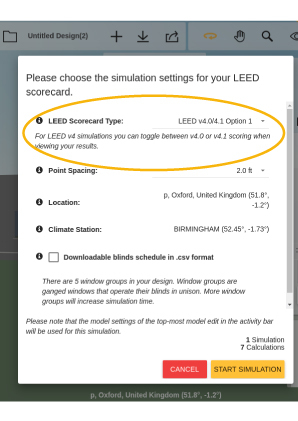 For LEED v4 scores, you can toggle between v4.0 and v4.1 when viewing results. Visit the support forum or email us at support@lightstanza.com with any questions about this feature!